Notice on this chart how the US production has come up so sharply starting in about 2010. Notice how it cycled down and then up when the Trump administration came into office. Oil? Why is this important, Big Red Car? 3. It is a strategic commodity meaning we will make foreign policy – talking to you Middle East gunboat diplomacy and politics wars – based on our ability to access oil. 4. We have begun to export crude and we are building enormous offshore natural gas terminals for export. The ships which move natural gas are too big for our ports. 5. We can use energy export – natural gas, in particular, to relieve the pressure of Russian pipelines in eastern Europe. Russia cannot turn off the tap in a war. Huge! Hey, it’s me, Obama. Trump didn’t create this oil boom. I did. 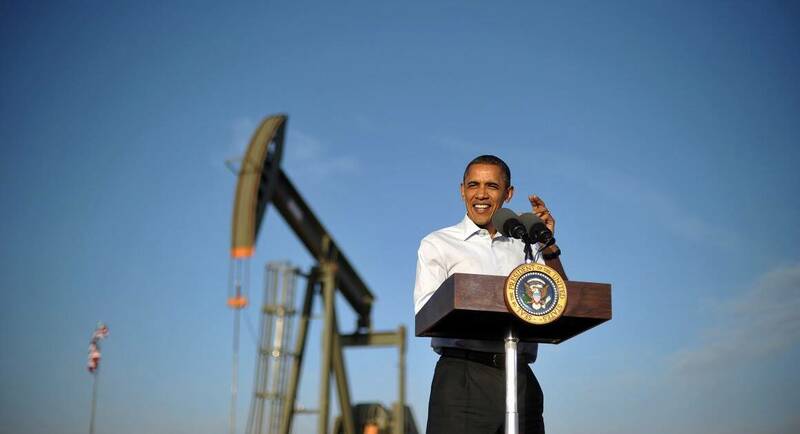 It’s Obama’s oil boom. Sure, I tried to strangle offshore drilling and I told them No No North Slope, but I did this. You didn’t do this, Trump. I did. Haha. OK, got to get back to my library. Enjoy my oil boom. Peace. Out. This entry was posted in Oil, President Trump, Texas and tagged oil, russia, saudi arabia, Texas. Bookmark the permalink.